Another Breakout Con is in the books, and it was my second as a special guest of the convention. It was terrific to see a little more growth in their Sheraton space this year, and even better was a smarter use of space for game events, the flea market and the like. But don’t take it from me – David definitely covered it in his great recap! What I’d like to discuss are a few key aspects of the convention – panels, playtests and pals. This year I moderated two panels, getting to massage guests’ brains for the entertainment of our audiences. While the panel rooms aren’t packed, the folks there are certainly invested and interested, and I could tell that they appreciated the wisdom and information put forth by our panelists. I loved what came out of these and wanted to share a few snippets with you. 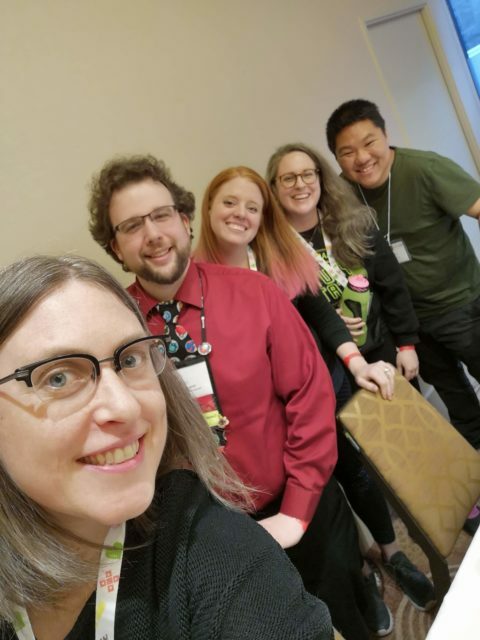 My first was “Board Game Playtesting and Development”, consisting of Andy Kim, Erica Hayes-Bouyouris, Pam Walls and Travis Magrum. There was lots of juicy information to be had, and I fixed in on a few points in particular. Don’t take things personally – every little bit of feedback helps, and by acknowledging that it is not about you makes things much easier. Relatedly, there’s always a difference between being nice and being honest – dig deeper when you think someone’s just trying to be nice! Encouragement of all sorts is key. It can also be hard to watch a game fail, but the experience over time and various games makes things easier in the end to see where failures can lead to. 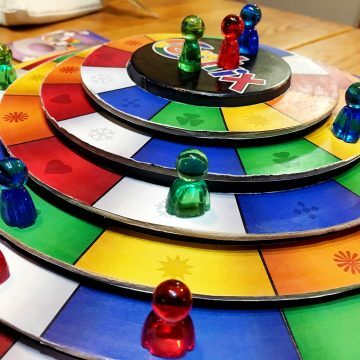 Understanding the language of playtesters can be key – don’t just listen to what they say but maybe get them to write some feedback, and watch when they play to see what their body language is like – this will give you a well-rounded picture of how things went. Lastly, the importance of development in the design process shouldn’t be underestimated – be that specifically a developer who works at a publisher, refining games or if you’re independently creating and decide to playtest with a group of designers as a form of development. 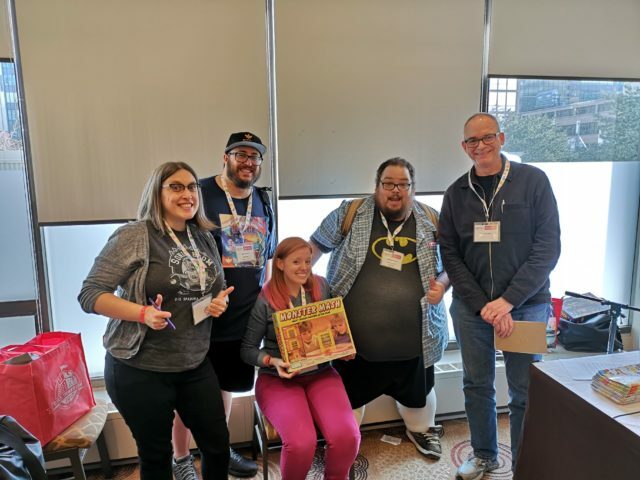 My next panel was something I thought would be quite jokey but ended up being a fantastic discussion on the influence of certain games – “Top 10 OLD Games Board Games Everyone Should Play”, with Daryl Andrews, Jon Gilmour, Erica Hayes-Bouyouris, and John Butterfield. There were games I certainly hadn’t heard of before (Polis, San Marco, for instance) and a great range of the quite old (Diplomacy) to not so (Seasons). The crossover of recommendations was the most interesting for me to see – 7 Wonders, Cosmic Encounter, Power Grid, Carcassonne, Ticket to Ride, and Bohnanza all got multiple shout-outs as their influence has been quite significant. I quite hope that the recording of this session becomes available online because it was a great group of folks with a lot of intriguing thoughts on the topic. Especially valuable was Jon Gilmour’s recommendation of the “Eleven Flavors of Frustration” article for inspiring designers to read and understand what the balance of fun and frustration can be. Every year ProtoTO has a booth and a space for budding designers to run playtests for their games. It’s a vibrant space and it’s got a fabulous feel of community as attendees of the con dip their toes in the world of in-development games. 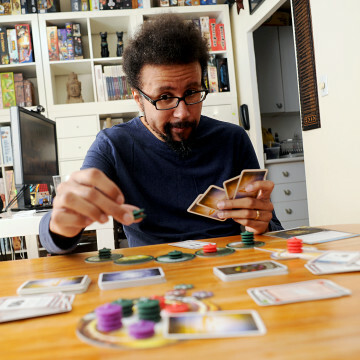 In addition to these opportunities for designers to connect with potential audiences, they’re also offered a chance to participate in a “mentorship program.” This means that guests like me will sit down to do a playthrough of their game’s prototype and then sit down for some targeted discussion and feedback time. I was asked (along with fabulous folks Jon Gilmour, Daniel Kwan and Derek Chung) to play a strategy game from Toronto designers, called Terminus. Quite fittingly, this happened right after I’d moderated the Board Game Playtesting and Development panel! 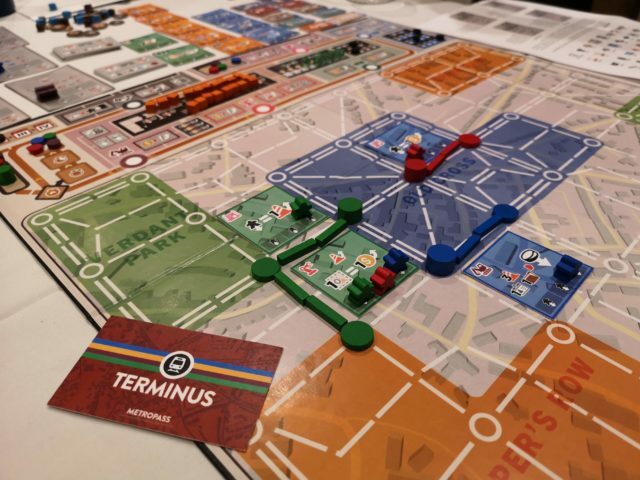 Designed by Earl Aspiras and Tom Volpe, Terminus is a strategy game where the interplay of action selection and resource management hits and players competitively build up subways on a central city map. 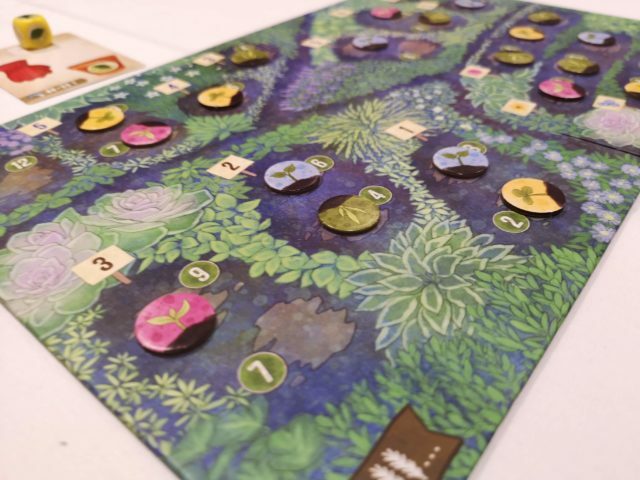 We had a fantastic time learning and playing the game, and it was so rewarding to get to sit down with these first-time designers and discuss our experience of playing and as folks with some industry experience be able to give advice too! What works, what doesn’t, and ways to bring it to the market were hopefully useful tips that a regular playtest may not result in. I know that I’m looking forward to trying this again come ProtoTO in September. 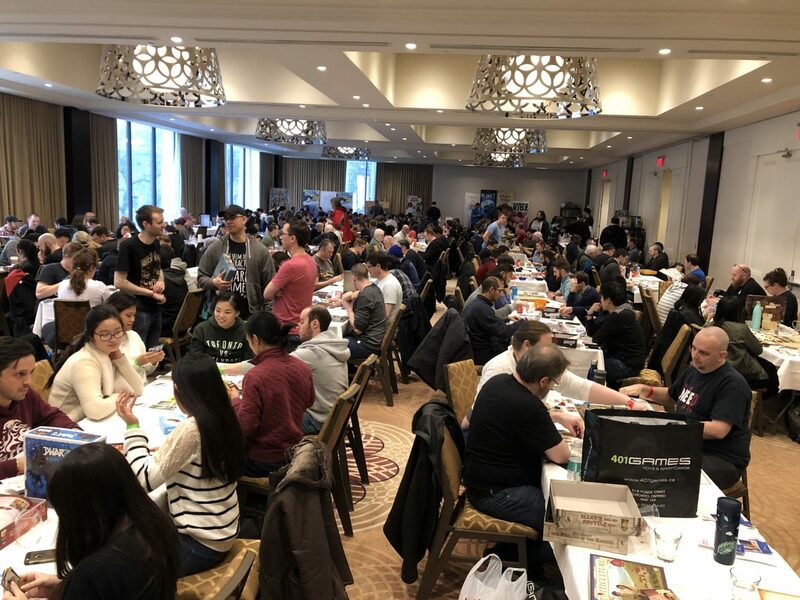 Every year, BreakoutCon bustles with a wonderful crowd of folks, some of whom I know from board gaming here in Toronto and others who come into town to visit and attend (or guest!) at the convention. It means that friends of mine who I really mostly see at cons are often around – fellow guests like Jon Gilmour, Daryl Andrews, or Mandi Hutchinson, or my out of town friends from up North or out East – and also the folks I know from around Toronto who are often too busy to get out to regular events are there and it means I get to sit down for games with them! No matter how busy I get as a guest, I always want to make time for sitting down to game – it’s what got me these pals, after all! I extra appreciated Helaina Cappel of Kids Table/Burnt Island Games organizing a great group dinner for Canadian board game industry folks, it’s always a highlight of the weekend for me and is a reminder of the wonderful people working hard at games up here. What’s best is being among a crowd that makes me feel at home – among pals I just haven’t met yet. Nerds like me, who are there for fun and community, who are enthusiastic, interested and invested in games. All the folks who are there as safety ambassadors, con volunteers, or all the people who take the time to grab one of those pronoun stickers to wear throughout the con, they make me feel welcome and included. I hope it goes for all the other folks there, too! And yes, I did play games, it wasn’t all the “Three Ps”. Much Wingspan was had, to my delight; I also got to try the upcoming Burnt Island Games title, In the Hall of the Mountain King, which was really fantastic. 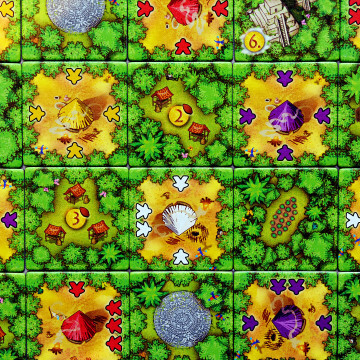 I also squeezed in a game of Planet, one that I’d tried at BGGcon and loved – so glad it’s coming out to retail soon. I’d be remiss if I didn’t mention Mandi brought Herbaceous Sprouts into town just for me to try, and it was wonderful. I’m dying to get in a few more plays and share my thoughts with you all. So, see you next year, BreakoutCon! I await the fun and delights you’ll share.